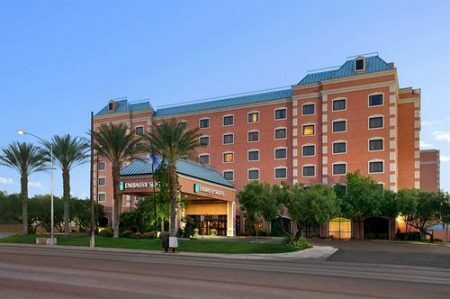 The Embassy Suites, 4315 Swenson Street, Las Vegas is ideal for business trips or vacations. 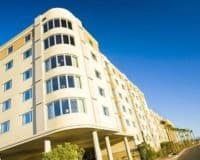 The Embassy Suites Las Vegas, sits close to the University of Nevada and close to the Hard Rock Casino, while also being a short walk from the Las Vegas Convention Center and renowned Las Vegas Strip. This makes it a great choice for anyone visiting Vegas: the perfect combination of business focus and luxury. 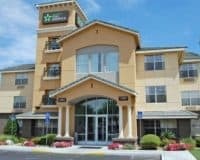 The hotel provides a great number of business-focused amenities, including a high-tech business center, over six-thousand-square-feet of meeting space and several secluded meeting rooms, which ensure peace and quiet, while you conduct your business. There is also a modern gym, equipped with everything that you need to keep fit, a heated outdoor swimming pool and hot tub, which are open all-year-round. While the Three Palms Café, offers a complimentary breakfast cooked however you want it. Along with an evening space that is ideal for meeting business partners over cocktails or relaxing with friends. The accommodation is a mixture of luxury and functionality, combining comfortable beds, with space to work and entertain guests. While the bathrooms are modern, clean and comfortable, ensuring that you feel perfectly at home during your stay in Vegas. 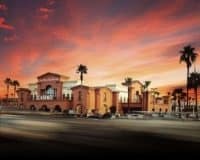 The Embassy Suites are ideal for people in Vegas on business or staying for pleasure: offering a range of luxury amenities, while ensuring that you can also get the work that you need to, done. It is a hotel for professionals, allowing them to work hard and play hard, while there is no doubt that any clients who you take there, will be impressed by it. Finally, its proximity to the Strip and McCarran International Airport make it convenient, ensuring that your trip will be productive and stress-free.